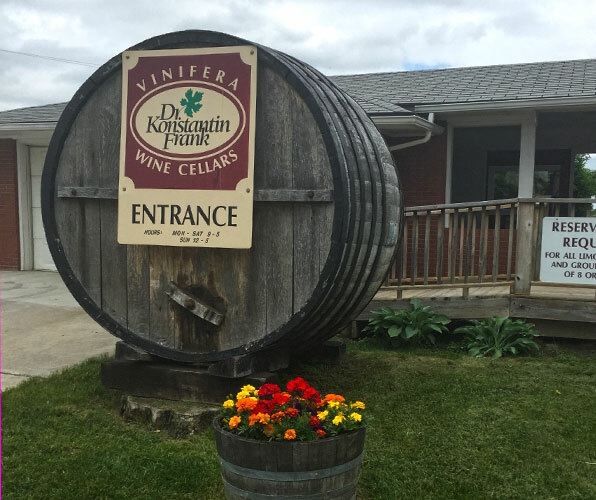 Join us on a photo tour of two of the most popular and established wineries in the Finger Lakes region of New York. If you like wine, Dr. Konstantin Frank Winery is the place for you. 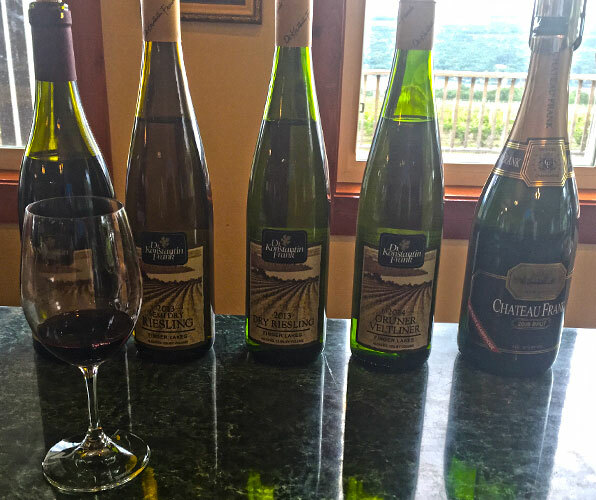 The winery produces the most critically acclaimed Rieslings in the Finger Lakes region. Their Rieslings have been featured in the Wine Enthusiast and have appeared on the Today Show. This is the place to get excellent wine at a reasonable price. Another bonus? Free wine tasting! Walter Taylor, grandson of the founder of Taylor Wines in Finger Lakes, established Bully Hill after being fired from his family winery when he insisted that the wine in the region should be made with 100% grapes, without additives or being diluted with water. 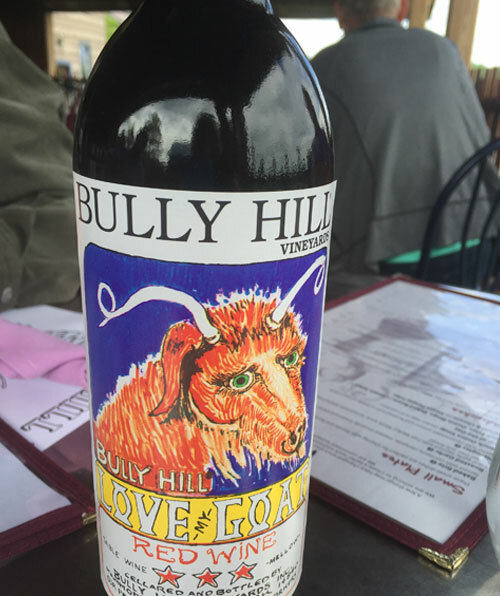 Bully Hill Vineyards is one of the few wineries in the region to offer tours of the wine making process. Be sure to stop for lunch at Bully Hill’s beautiful restaurant. 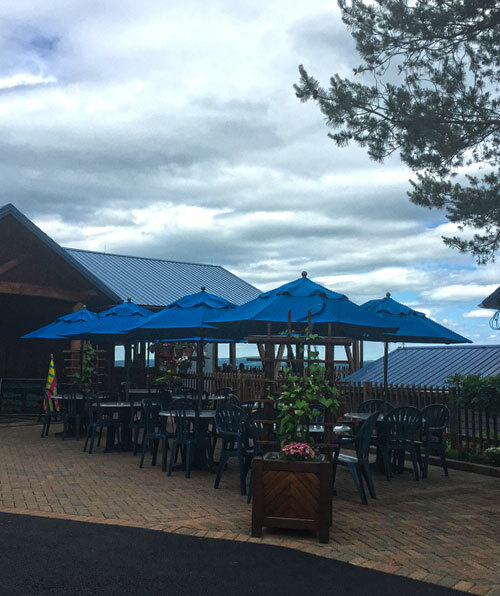 With its enormous patio overlooking Keuka Lake, and smoked BBQ deliciousness on menu, this place is a popular stop for wine and dine fans. Another big plus is the heavenly Peanut Butter Pie offered for dessert. So good! Click here for the recipe.